In reality, we don’t need any evidence of the gulls’ presence. The beach has been full of the birds, numbering in the hundreds some mornings. I am always impressed with the great black-back gulls. They are enormous! 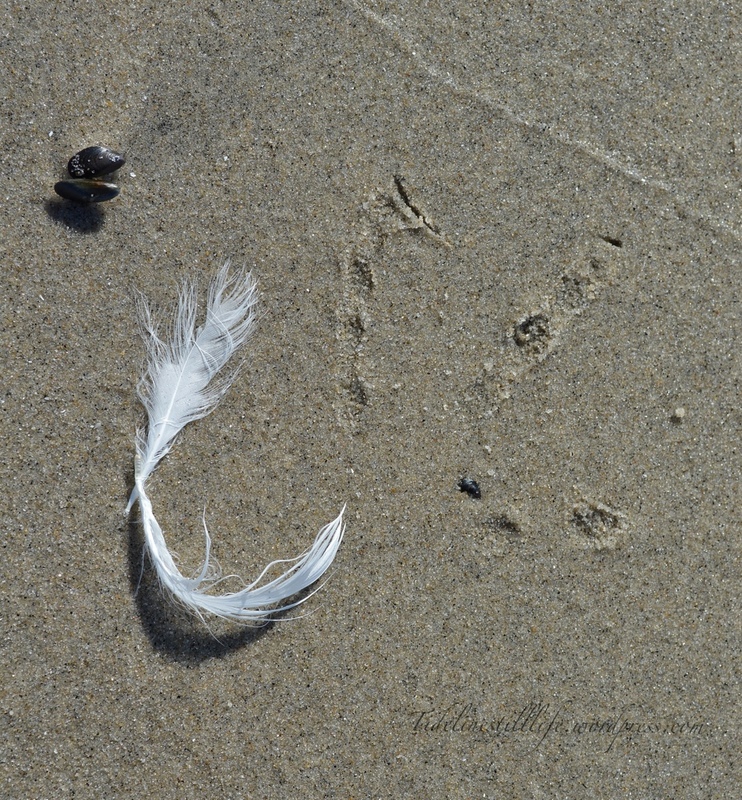 This gentle feather and the echoing foot print are the delicate remains of a morning feed-fest. The tiny mussels escaped, too small to bother with.